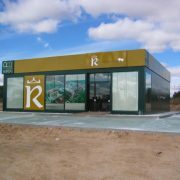 Our company will supply prefabricated modules and modular kiosks for the event in its 2018 edition. Madrid Trophy Promotion, S.L. 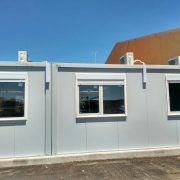 has once again placed its trust in Europa Prefabri for the supply of portable modular kiosks. 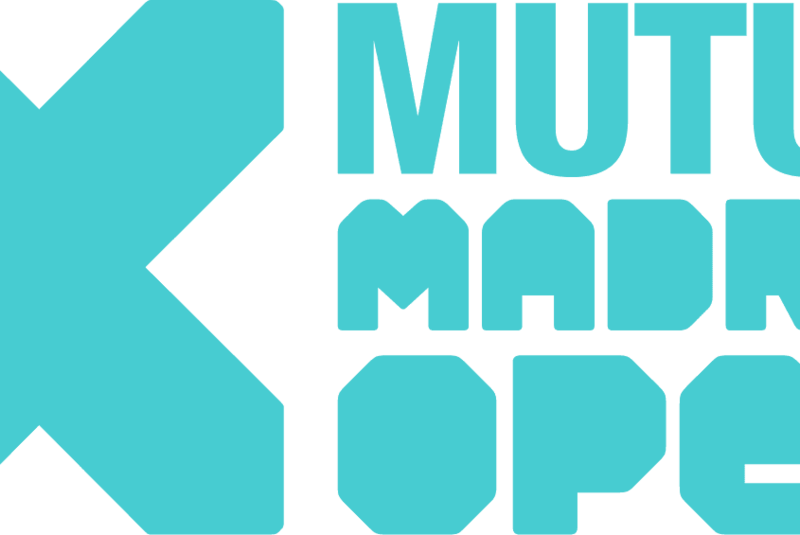 The Master Mutua Madrid Tennis Open will take place from the 4th to the 13th May at the Caja Magica venue in Madrid, one of the most modern tennis facilities in the world. 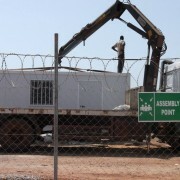 On this occasion, we will supply and install two portable modular kiosks, dimensions 6.00m and 4.00m. These special modules have folding doors on the front and an internal counter designed to use as a ticket office. The structure and the sandwich panels will be painted in corporate blue, using a special paint. 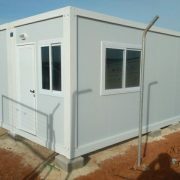 Europa Prefabri will also supply 6.00m portable cabins for the television channels that will broadcast the tournament, as well as a as a 2.40 m security guard cabin. 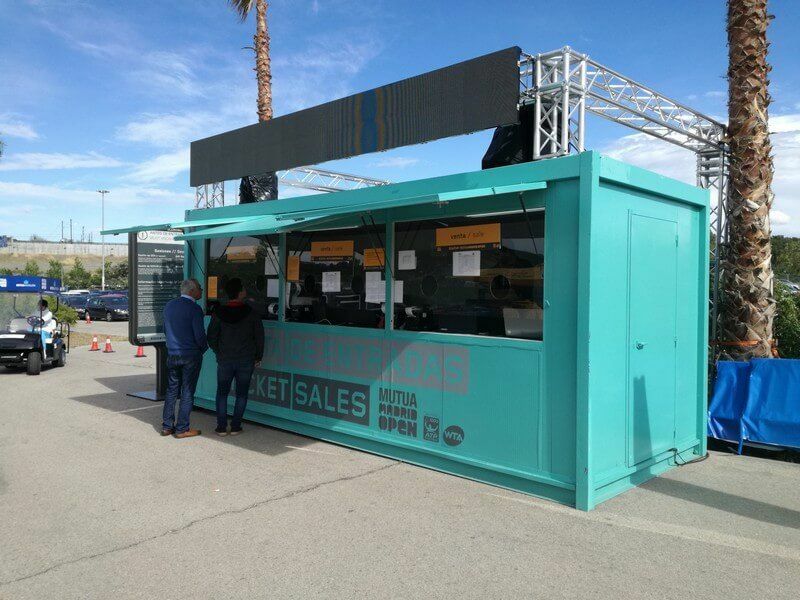 The Master Mutua Madrid Open will bring together once again the world’s tennis stars and the 2018 edition will be the fifth consecutive one in which the organization trusts Europa Prefabri for the installation of portable cabins. Europa Prefabri is specialised in the supply of portable cabins for all kind of events: sports, music festivals, local festivities, etc. 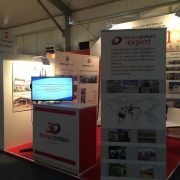 We have a team of highly experienced professionals, ready to advise each client and provide solutions for their events, ranging from the design and manufacture of custom-made products to transport, assembly and installation, as well as the necessary maintenance and cleaning services. For this kind of events, we offer on rental and sale basis portable toilets, changing rooms and luxury restrooms, prefabricated modules for many applications, containers, fences and closures… and any other equipment you may need to celebrate your event. 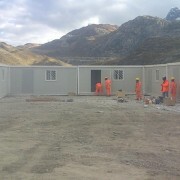 Repsol awards Europa Prefabri for the supply of portable cabins for its technical... TRADITIONAL OF PREFAB HOMES?